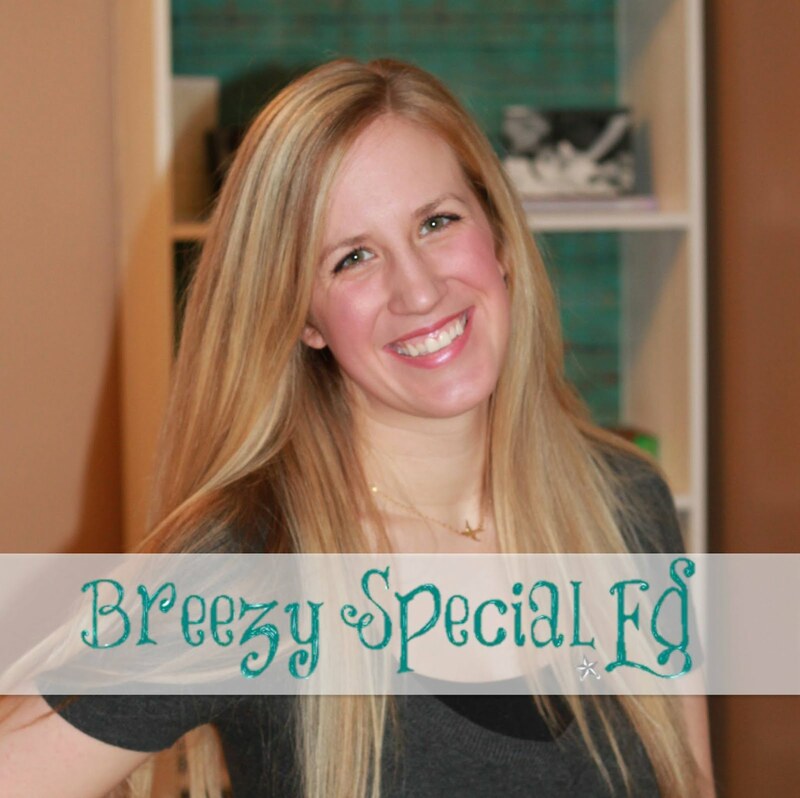 If you teach special education you should be familiar with the "next dollar" method, or "dollar over" strategy. If not, well you should. :) Basically, the student looks at the number before the decimal point, counts out those dollars and then adds one more dollar for the change. 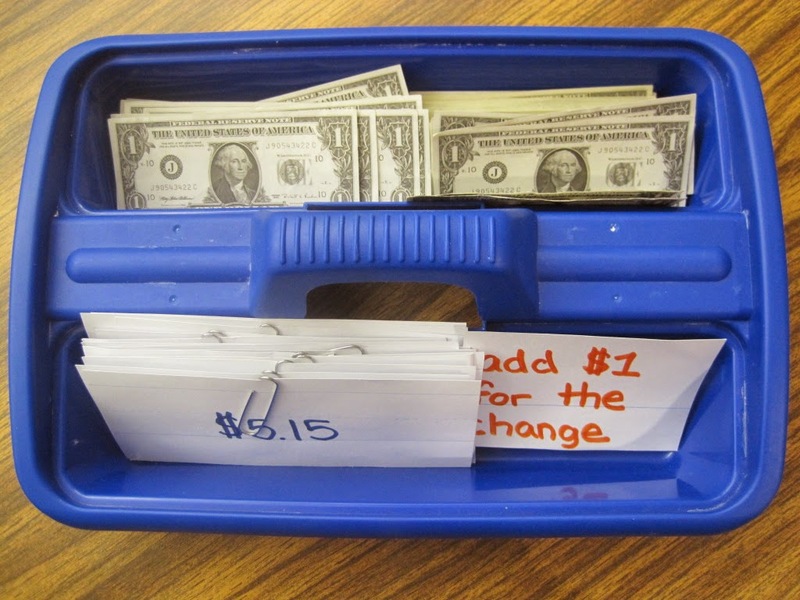 Here is a work box that I use with my students for independent practice with the dollar over strategy (I got this wonderful idea from my mentor teacher!). 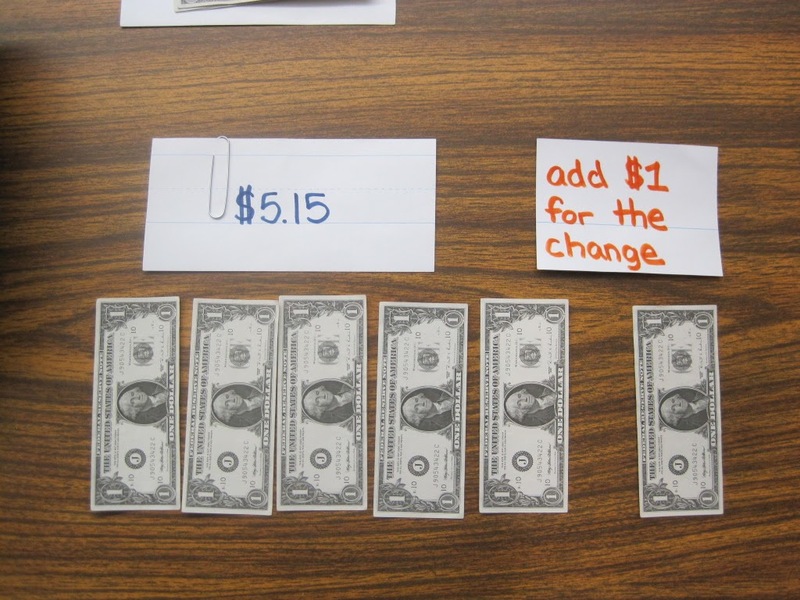 So the student takes the card and counts the amount of dollars and "adds one for the change." Then the student slides all the dollars under the paper clip on the index card so that I can check them when they are done! Looking for more next dollar resources? 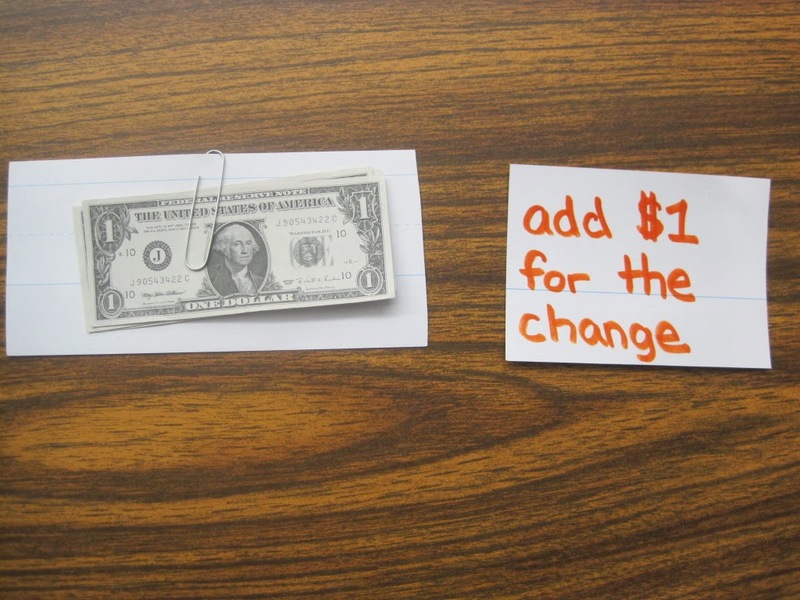 Check out these Next Dollar Up task cards and these Next Dollar worksheets. This is a great idea! I'd love to hear any other activies you might know of that are good for children with special needs. My daughter has such a hard time with money even though she is almost 16. I have a hard time with trying to figure out new ways of working with her, I end up getting too hung up on the details, like the change above. With many of my students, I focus on simply knowing that when they pay with a bill larger than the total, they need to wait for change back. I figure it really isn't necessary for them to be able to know exact change - how often do adults pay with exact change anyway! Also, I know the transition students at my school deal a lot with gift cards / debit cards. This way the students are able to pay independently, and just need to be aware of the amount on the card and how much they will be spending. What brand of fake money do you use? I am looking for fake money that looks as real as possible to use in my MD Classroom. Just in case anyone follows this in the future, I found this!